When it comes to having the best tools for your property management companies, the number one thing that comes up is proper communication with your clients and the property owners you serve. With so many emails, phone calls, newsfeed posts and other streams of information flowing towards each of us every single day, how is a good property managers supposed to break through the noise and really communicate the important things? Digital property inspections have changed the property management industry. Thousands upon thousands of property managers are now seeing how valuable having all property inspections stored in the cloud and easily accessible from any computer can be. But what happens when there is a repair, maintenance request, or other issue at a property that requires more than a few comments or photos to describe? Without having to jump on a phone call and try and pin the property owner down, how can you get all of the information across without having to waste time? 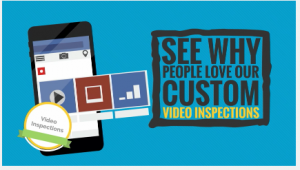 That’s why we’ve introduced Video Property Inspections, here at Inspect & Cloud. We want to help any property manager or inspector turn their mobile phone or tablet into a revolutionary video inspection tool that’s easy to email to vendors, tenants, property owners, and more. By signing up for our 14-day free trial and requesting the video inspection functionality, you can easily play around with video inspections and discover how incredible a tool they can be for communicating the status of a property. Why type long paragraphs out, trying to describe a potential issue or repair, when you can easily flip the camera on, show the actual damage or maintenance area, while recording audio and video! Video property inspection take the communication process between property managers and property owners to a whole new level! 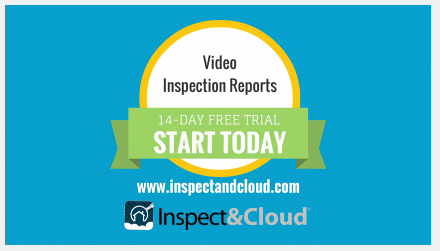 With Inspect & Cloud’s video property inspection feature, you can easily record up to 30-seconds of video for each room item, adding new room items on the fly as you go. All of this is done from the phone or tablet that you already own. With the ability to preview videos before sending, formatting them all into an easy to read report property inspection PDF with clickable thumbnails, record voice notes, and then email PDF and video property inspection reports to anyone from anywhere—Inspect & Cloud becomes a powerful tool for forming better, more efficient lines of communication with your property owners, vendors, and maintenance crew. 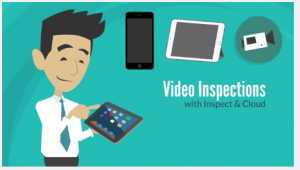 Do a test inspection now and see why video property inspections are a game changer for property managers. Click here!